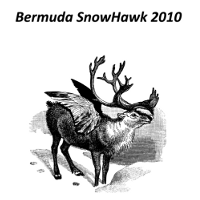 ← GTG044 “Bermuda Snowhawk 2010” on Friday! Download the annual free seasonal compilation right here. 13 brand new unreleased tracks from GTG and BMP friends, including The Plurals, Josh David & the Dream Jeans, The Hat Madder, The Guest Stars, middleman and more! A limited run of physical copies will be floating around over the next month or so. Get ’em!